Announcing the regulation on Tuesday, Bill Wehrum, the EPA's assistant administrator for the office of air and radiation, told journalists that he had worked at the EPA under President George W. Bush when the agency tried to argue that it did not have the legal authority to regulate greenhouse gas emissions. Critics say the new plan would allow utilities to run older, dirtier power plants more often and extend the plants' overall operating life, undercutting potential environmental benefits. "To prop up failing coal-fired power plants, the proposal sets paltry pollution limits based on minimal "tune-ups" at those power plants and then authorizes states to weaken the standards even further - or even eliminate them altogether", Lissa Lynch, Staff Attorney for the NRDC, writes. On Tuesday, the Trump Administration proposed a replacement rule for former president Obama's Clean Power Plan, and its details favor coal power plant owners. "Boom, gone", Donald Trump said about the clean power plan past year. 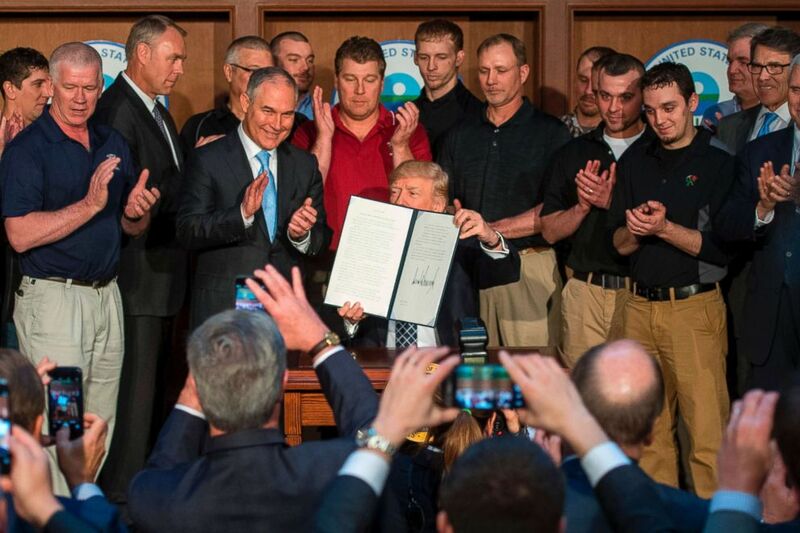 The move marks the latest effort by Trump's administration to roll back the environmental legacy of his Democratic predecessor, having pulled out of the 2015 Paris climate accord aimed at slashing global fossil fuel emissions. Today, about a third of USA electricity is generated from coal-fired power plants, down from more than half at the turn of the century. A worker in the coal industry handles coal at a coal prep plant on May 19, 2017 outside the city of Welch, West Virginia. Wehrum said that because of the shifting energy landscape, he expected emissions to fall at a rate "roughly comparable" to the goals outlined under the Obama-era plan, which called for a 26 percent cut in greenhouse gases from power plants by 2025, compared to 2005 levels. He also has directed Energy Secretary Rick Perry to take steps to bolster struggling coal-fired and nuclear power plants to keep them open, warning that impending retirements of "fuel-secure" power plants that rely on coal and nuclear power are harming the nation's power grid and reducing its resilience. The federal government will set carbon emission guidelines, but states will have the leeway to set less-stringent standards, taking into account a facility's age and the cost of upgrades. "The world's on fire and the Trump administration wants to make it worse", said Rhea Suh, president of the Natural Resources Defense Council.